They Think It’s All Over (It actually is) | Come Here To Me! « Brother, can you spare a dime…. What’s another year? Hard to believe another season of football in the capital is over. This is the time of year when many will go into hibernation, unimpressed by antics across the sea. For me, it’s a time to turn to Scotland, but it’s not the same really is it? Below, to mark the end of the season, we bring you some of the best displays from the capital, or involving the capital. Great credit is due to the people at the Irish Ultras Movement blog, who have been fantastic in getting displays up online quickly. 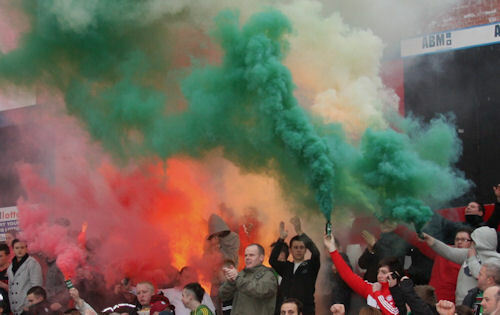 Sligo Rovers lads Forza Rovers had a hell of a year, producing top class displays time and time again. This small banner was a beautiful tribute to a young Shelbourne F.C player murdered in the capital. 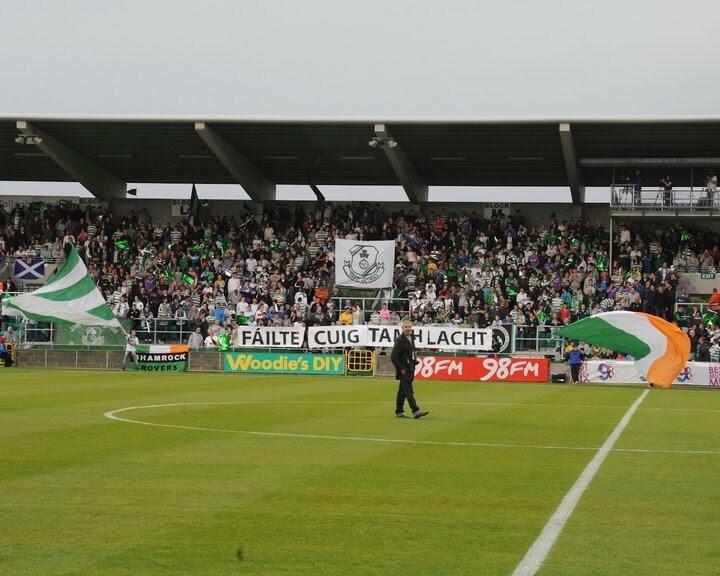 Most clubs seemed to up their own efforts when facing the Sligo lads, though one Shamrock Rovers banner on an away encounter west simply read ‘ULTRAS NOT ARTISTS’. 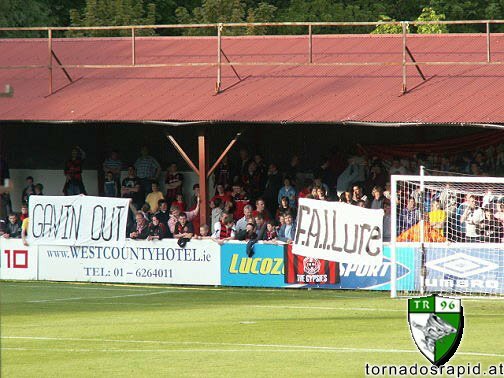 At a home encounter against the Sligo men, the SRFC Ultras produced this gem. 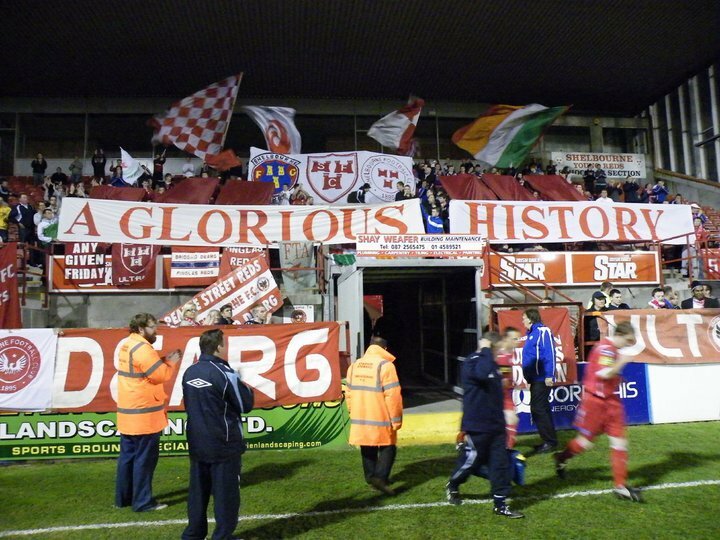 In Inchicore the Shed End Invincibles produced some crackers, and like the Sligo lads were capable of producing displays week after week. The appearance of SEI stickers around the city and county meant they likely joined the SRFC Ultras on the City Council litter lists. The Saints produced a cheeky display against Bohemian F.C in the wake of their defeat to The New Saints (Or eh…Total Network Solutions) in Wales. ‘The New Shels’ display made it’s way into the papers. 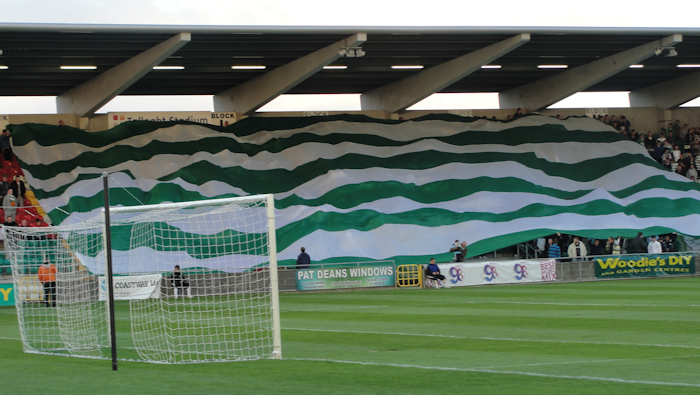 On the subject of European encounters, Shamrock Rovers produced a nice welcoming banner for Bnei Yeuda in Tallaght, the first Euro clash the stadium would see. 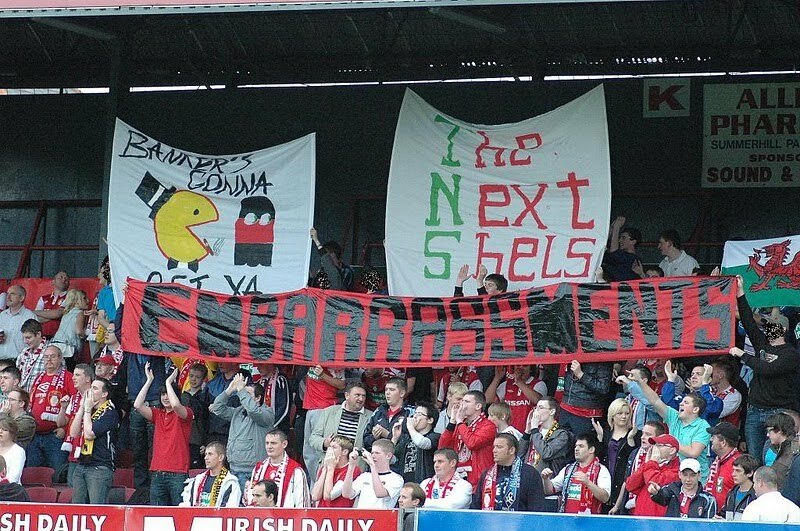 Bohs NBB had a message when they made the trek to Inchicore, directed at the Football Association of Ireland. An old classic reappeared, joined by a new addition calling for ‘Gavin Out’. The Jodi remained loud, and produced a few very good displays. 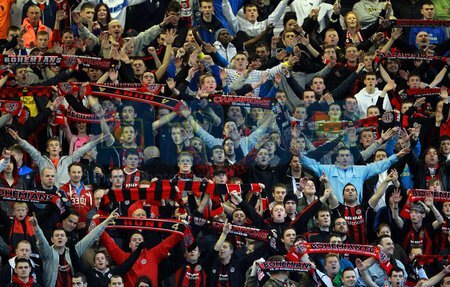 A nod to the Northern Soul fist appeared in the last Rovers/Bohs derby of the year, encouraging Bohs to ‘Keep The Faith’. 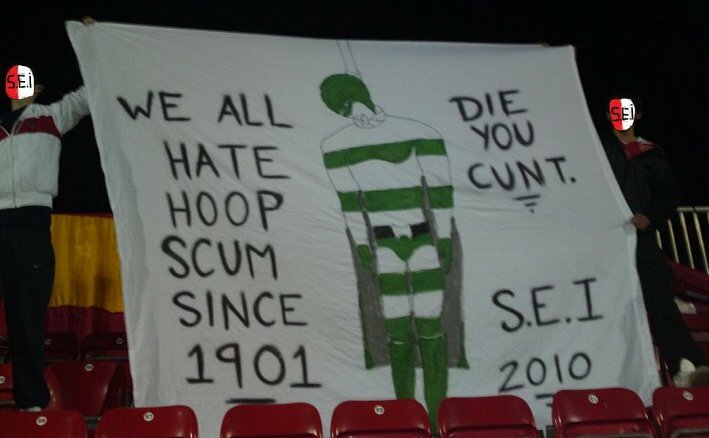 The Bohs faithful did produce my favourite personal banner of the year, with this quality nod TO ARTHUR. 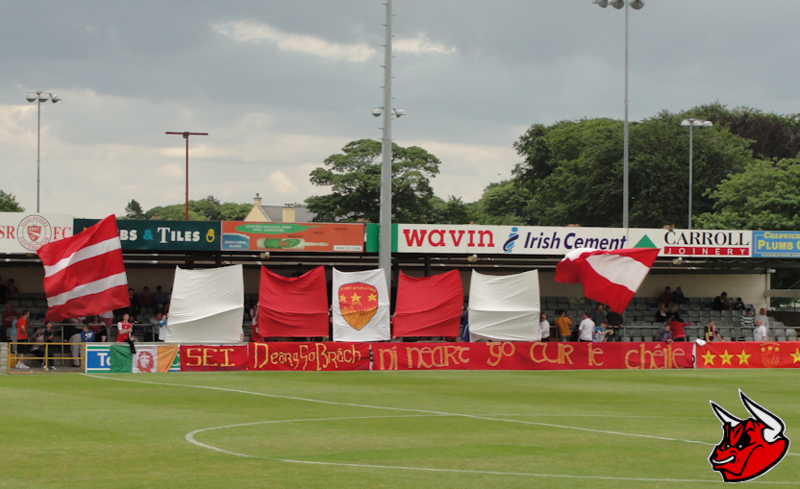 A Drogheda display in Inchicore didn’t hold back. While their ‘Notorious Bum Boys’ effort against Bohs has become the stuff of legend, this one against Pats contained much of the same tongue in cheek humour. 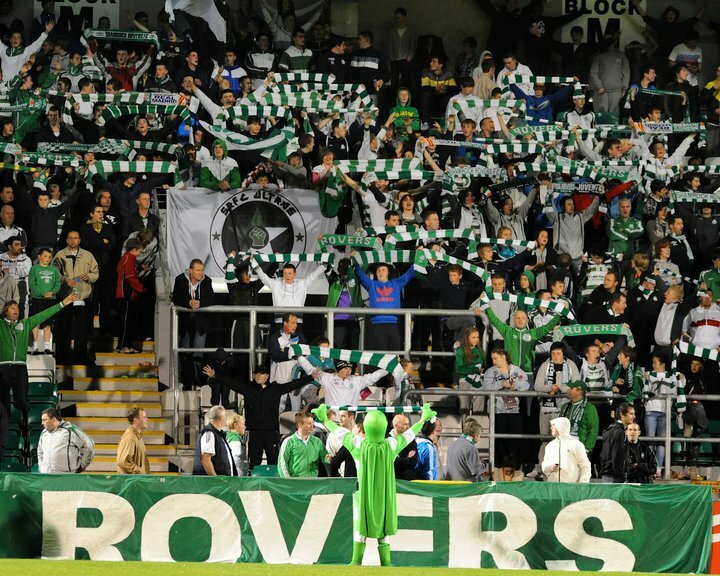 Hooperman, the mascot of Rovers, freaked out old and young alike in his ‘highlighter green’ superhero outfit. 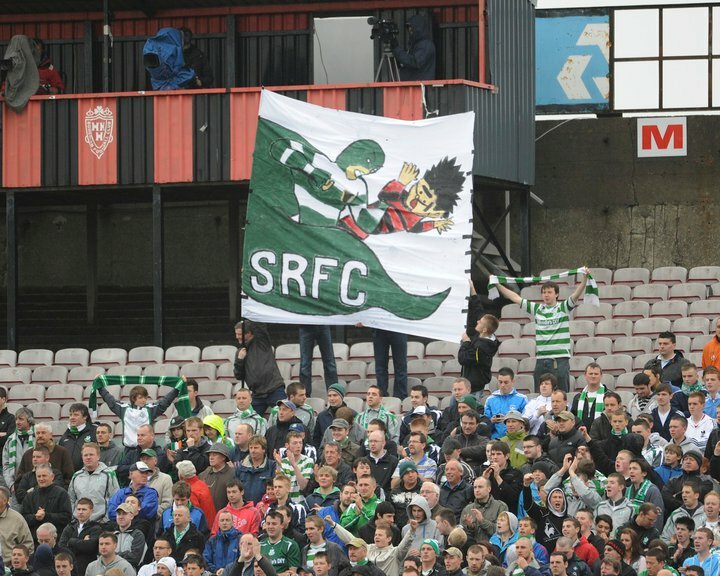 Still, he made an appearance on the northside at a Dublin derby encounter between Bohs and Rovers. Hooperman became a much loved figure in Tallaght, and a much hated one everywhere else. The kind of 90 minute mascot never really seen before….. 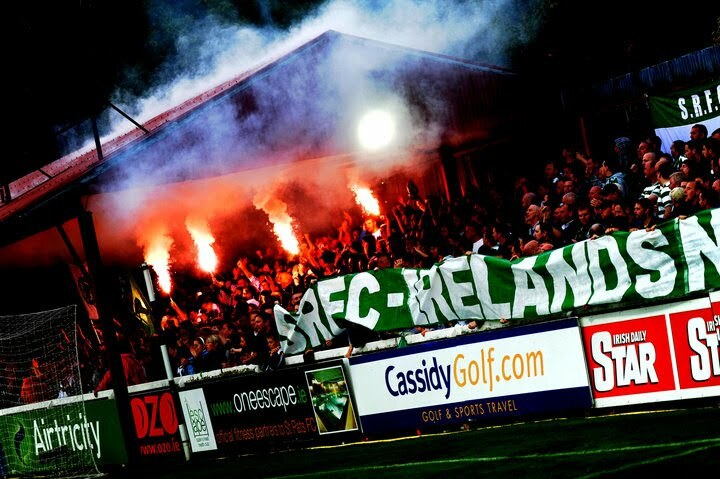 The SEI certainly didn’t see the appeal…..
Glentoran almost set Phibsboro alight with an excellent piece of pyromania to welcome their travelling squad onto the pitch at Dalymount. Over in Drumcondra, the Briogáid Dearg continued on, though things looked in trouble at one stage. 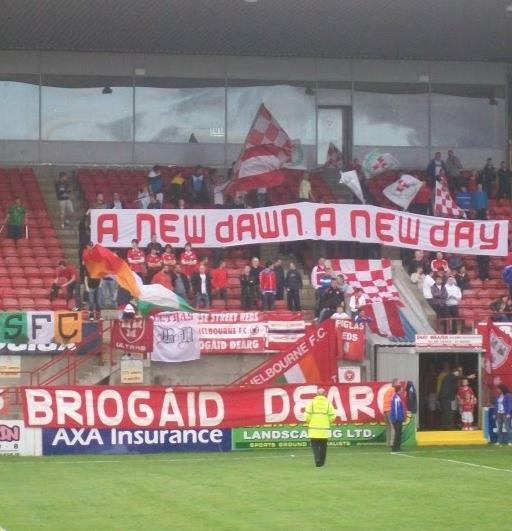 Founded in 2003, the BD remained active and loyal to Shelbourne through some very dark days.A statement in April highlighted the groups issues with how the club treated the Ultras, and made for grim reading. Beginning this Friday, 30th April at home to Mervue, BD is suspending all activities as a group until at least the end of this season. This means there will be no banners held up or flags waved, BD will not attend the match as a group. 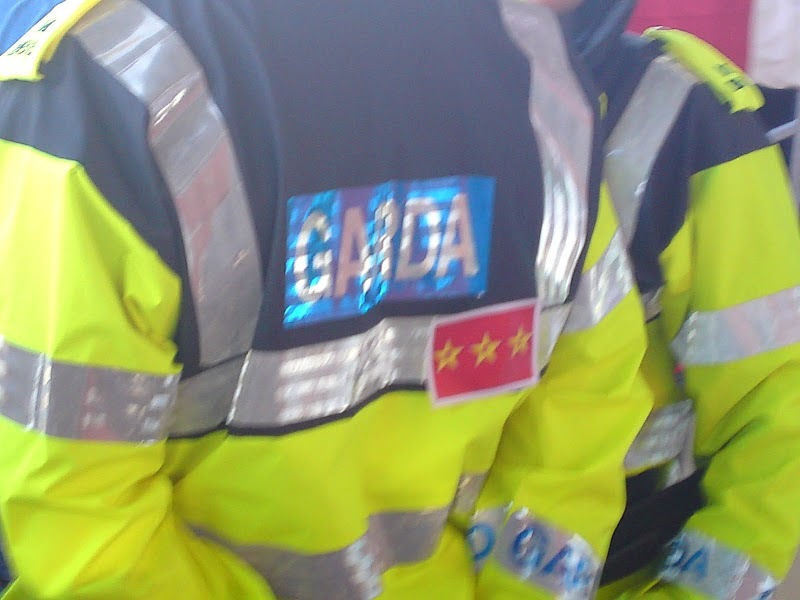 Unusually for a Dublin blog, it is perhaps best to allow a few Corkonians to wrap this one up. 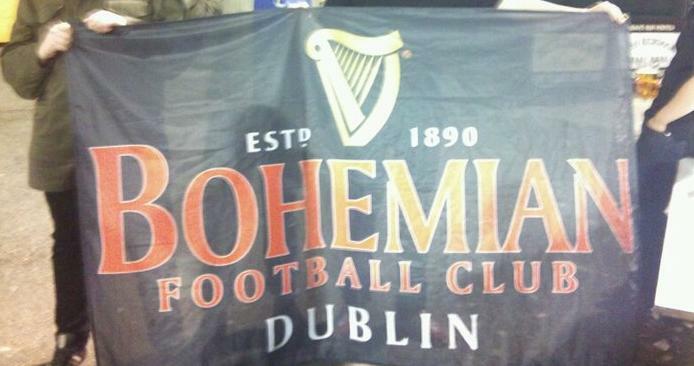 In a year when green and gold scarves became a frequent sight on Dublin streets (The actual streets of Dublin that is, not the fashion blog ‘Dublin Streets’) and people seemed more concerned about what would happen to Liverpool than what might happen to Bohs, this banner sums up the loyalty and passion of Irish football fans quite nicely. 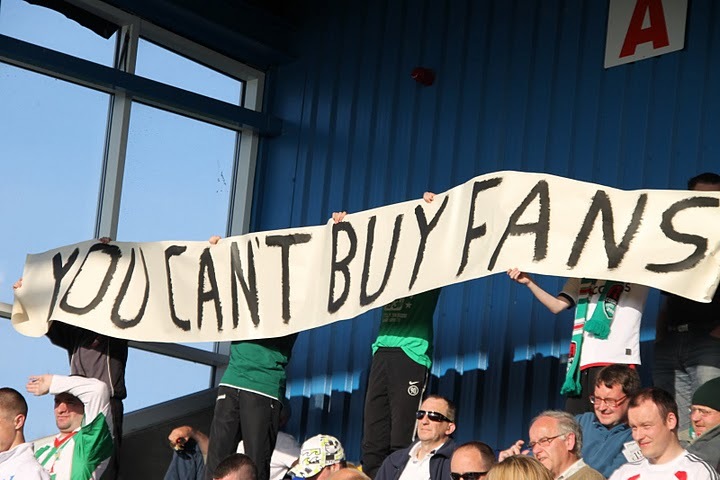 We’re not for sale to purchase, and we can’t be sold off. Keep singing, keep stickering, keep travelling. I’d be biased but I thought the “Facci Sognare” banner at the Rovers Juve game was class. 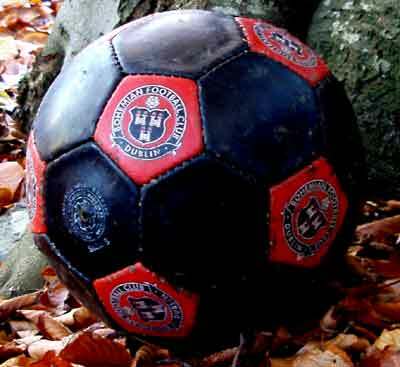 Spotted this Boh’s ball in St. John the Baptist cemetery in Clontarf this morning. Just behind Maureen Potter’s grave.